BBC NEWS | UK | Education | Academies: Who are the sponsors? From universities and football clubs to a carpet millionaire and a Christian charity, a diverse range of individuals and groups are stumping up the £2m required to sponsor a city academy. Under the government's high profile scheme to turn round failing schools, the government adds about £25m for new buildings to each £2m donation. The sponsor is then given wide-ranging freedoms to decide how the school is run. The government aims to have 53 academies up and running by 2007 and 200 by 2010. Twenty-seven are already open and more than 40 are in development. With their long history of running schools, both the Church of England and the Roman Catholic Church have embraced the academies scheme enthusiastically. Several Anglican Dioceses, other Church of England bodies and Catholic Archdioceses have sponsored schools, sometimes in partnership with other organisations - and in one case, in Liverpool, in a joint Anglican-Catholic partnership. The Church of England says proposals for 25 academies are currently under discussion. A few Christian businessmen have also become sponsors. These include Peter Vardy, the chief executive of a chain of car dealerships who set up a successful and popular City Technology College in Gateshead in 1990. Mr Vardy's Emmanual Schools Foundation has since funded two academies, despite controversy over its schools' approach to teaching creationism. The foundation pulled out of a proposed third after parents protested. The Oasis Trust, a Christian charity founded by the Baptist minister and broadcaster Steve Chalke, is also funding two academies. Three universities have committed to funding academies in partnerships with other organisations. The University of the West of England is one of three backers for City Academy, Bristol. A collaboration between Liverpool University and the educational publisher Granada Learning is also in the pipeline. An academy on a campus of Brunel University was proposed as a joint venture between the university, HSBC Education Trust and the local Learning and Skills Council - but was shelved when Brunel decided its own activities had prior claim on the site. Another educational publisher, Thomas Telford Online, is one of several sponsors of an academy in development in West Bromwich. 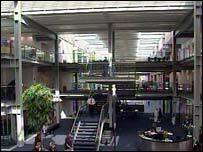 The company was set up in 2000 to sell the online learning materials developed by Thomas Telford School. Despite reports that independent schools such as Dulwich College and Marlborough are considering becoming academy sponsors, only one independent schools organisation has so far made a major commitment. The United Church Schools Trust - which runs 10 independent, fee-paying schools with a Christian ethos - is backing six academies. A number of charitable trusts with an educational focus have also become donors. The Steiner Schools Waldorf Fellowship, which has an alternative educational philosophy, is sponsoring an academy in Herefordshire with an environmental specialism. A large number of academies are being sponsored by successful businessmen (by April 2006 no women were on the list). These include Lord Harris of Peckham, the millionaire chairman of the CarpetRight floor-coverings chain, who is sponsoring three academies. Another big player is Hedge Fund manager Arpad Busson, former partner of model Elle Mcpherson. His charity Absolute Return for Kids aims to sponsor at least seven schools - although it pulled out of one proposed in Islington in the face of local protests. Rod Aldridge, the executive chairman of Capita - a company through which many government operations have been outsourced - is sponsoring an academy in Burnley. Concerns have been raised about conflicts of interest as Capita has been awarded a contract to manage the government's strategy for improving literacy and numeracy in schools. Sir David Garrard, the former chairman of the Minerva property group is also sponsoring an academy - one of five designed by renowned architect Sir Norman Foster and partners. Other sponsors are Sir Frank Lowe - founder of the Lowe advertising agency which counts Tesco, Coca-Cola and Unilever on its client list, and Roger De Haan, former owner of the over-fifties-services provider Saga, who sold the enterprise for more than £1bn in 2004. Most sponsorship is done by individuals or through trusts, but a few companies are direct sponsors. These include, in the building sector, Chelsfield plc, a property development company currently building a large retail and leisure development at White City in London, and Bee Bee Developments, which builds office buildings. Other sponsor companies include financial services company UBS, Toshiba, which has donated laptops and other equipment for a Nottingham academy, and Perkins Engines - a Peterborough-based company sponsoring a local school. A few local government organisations have become involved in partnerships to sponsor academies, including the borough councils in Stockport and Kensington and Chelsea, the Corporation of London and Kent Local Educational Authority. John Laycock, a Director of Bristol City Football Club is one of three sponsors for City Academy Bristol. John Madejski, Chairman of Reading Football Club, is sponsoring an academy in Reading. West Bromwich Albion FC is one of a consortium of sponsors for Sandwell Academy in West Bromwich. All three academies specialise in sports. Why the fuss over city academies?